Thomas & Friends Engine Shed for $20.99. 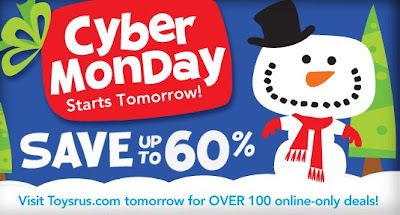 For More Cyber Monday Deals go here. On Cyber Monday (11/30), New York & Company is having 50% off everything on the site AND free shipping with no minimum order! Just use the code: 4136 at checkout. Offer and code valid on Monday 11/30/09 only! Use Shop at Home and get 6% back on your purchase or Ebates and get 4% back. If you are new to Shop at Home or Ebates, you will also get a $5 bonus for signing up! Burt's Bees Grab Bag $25! Right now you can purchase Burt's Bee's Grab bag for $25 (a $50 value). # Lip Gloss "Pucker Berry"
You could easily split these items into grab bags of your own for Christmas or just give a big basket of Burts Bee's products to someone on your Christmas list! If you are new to shopping at Dollar General please note that at this time, Dollar General does not accept internet coupons. Sign up for the Dollar General Email and get coupons sent right to your inbox. Thanks My Springfield Mommy for putting this together each week! 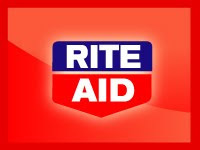 Watch the Rite Aid Video Values video here and earn 20 credits to receive $5 off $20 purchase. Go print you $5 off 25 Printable Coupon Here or here. Combine either of these with your purchase for more savings! Also, the new Gift Of Savings Program is running now through December 24th. Buy 3 Pepsi 12 oz. 12 pck for 3 for $9/99 Get a Free Sierra Mist 12 oz. 12 pck. Save $1.00 Fusion or Venus Cartridges 4 or 8 ct.
More Printable Coupons, from Coupons.com and RedPlum Don't miss out Print your Coupons now! Thanks My SLC Mommy for putting this together for us each week! 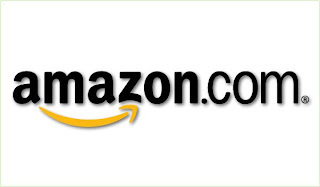 Check out the Cyber Monday deals on Amazon.com ! They are in limited quantity so act quickly to nab your deal! 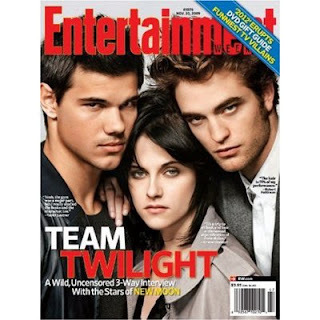 Entertainment Weekly 1-year for only $10!!! Save 95% off the cover price of $192.50 and get a 1-year subscription of Entertainment Weekly for only $10 at Amazon.com! Shopping Online? Use Cash-back websites! With so many online deals out there I thought it was important to remind everyone about cash-back websites. They make sense to me because I love shopping online. The main reason I do is because it's easy, it saves time and many times I can find a better deal online then I could in the store. We all know when we are going to make a purchase online and if we find something online that we want it's not hard to take the time to check your favorite cash-back sites to see who is offering the best cash-back percentage and coupons on the purchase. So that's what I do, I sign up for everyone of them. Here is how I do it: I quickly go to each cash-back site, check the cash-back percentage and coupons available, then log in and shop with the one that gives me the best value. Mr Rebates offers: Weekly Deals, $5 for Joining, and Easy Access to Coupons that go along with your Cash-Back Percentages. Cashbaq offers: The Deal of the Day, $5 for Joining, Easy Access to Shipping Specials, Free Shipping, and Coupons that go along with your Rebates. Ebates offers: Double Cash Back on the Deal of the Day, $5 for Joining, Easy Access to stores with free shipping coupon codes, Easy Access to Green Shops, and Coupons to go along with your Rebates. Shop At Home offers: Daily Deals, $5 for Joining, Cash-Back and Coupons for over 3,000 stores. Upromise.com is a little different you can earn cash-back on your purchases that go towards a future college education. You will receive 1%-25% cash-back from eligible purchases at more than 600 online retailers when you shop through Upromise. Up to 8% cash-back from more than 8,000 restaurants as a Preferred Diner when you pay with a registered credit or debit card. Using your grocery or drug store card at check out you will receive 1-3% back on thousands of eligible items. I hope this helps you find the best bargain for your buck! If this seems to overwhelming just pick one and stick with it you will still save a lot of money! I will continue to show you deals from these cash-back sites and hopefully we can all save a little more money! Best Buy Cyber Monday Sale - Starts TODAY 11/29! Beginning today, November 29th-30th, Best Buy is offering some HOT Cyber Monday Deals online ONLY! You can click HERE to check the out! You will also get FREE shipping on purchases over $25! Shop through Ebates HERE to get 1% cash back on your purchase! Upcoming Photo Freebie - December 1st! The first 20,000 people who go HERE on December 1st and request a special coupon code will get a FREE Photo Clutch Book, FREE Pack of 25 Photo Paper Holiday Cards or FREE Photo Calender from American Greetings Photo Works!!! This deal is ONLY valid on December 1st. Command Hooks at Target - CHEAP! Do you hang stuff at Christmas time and need some cheap Command Hooks? Look for the Season to Save catalog with great money saving offers! Thanks to My Baton Rouge Mommy for putting this together for us each week! Deal Idea: Thanks Surviving the Stores! I will bring you Decembers extra deals and month long register rewards soon. Big thank you to STLMommy!